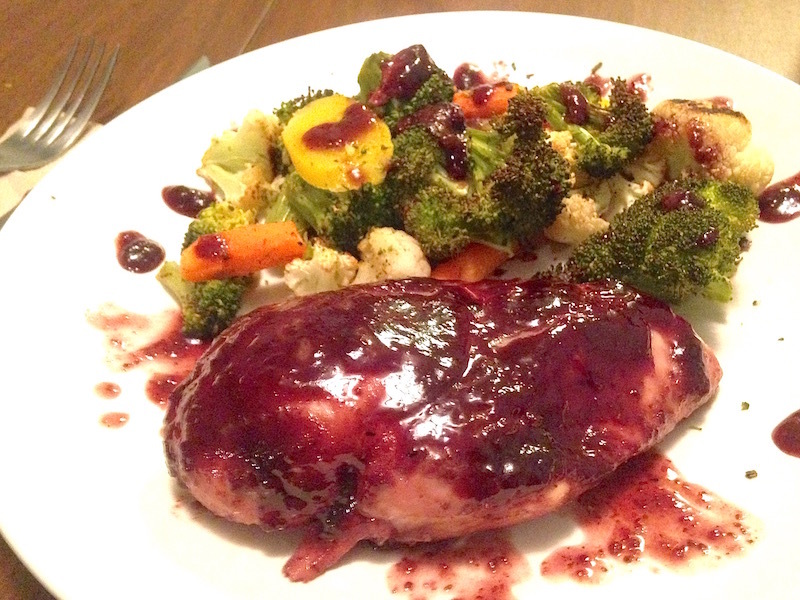 Blackberry Dijon Chicken | Keep It Up, David! I have a simple, delicious meal idea for you! How easy is it? You only need three ingredients! 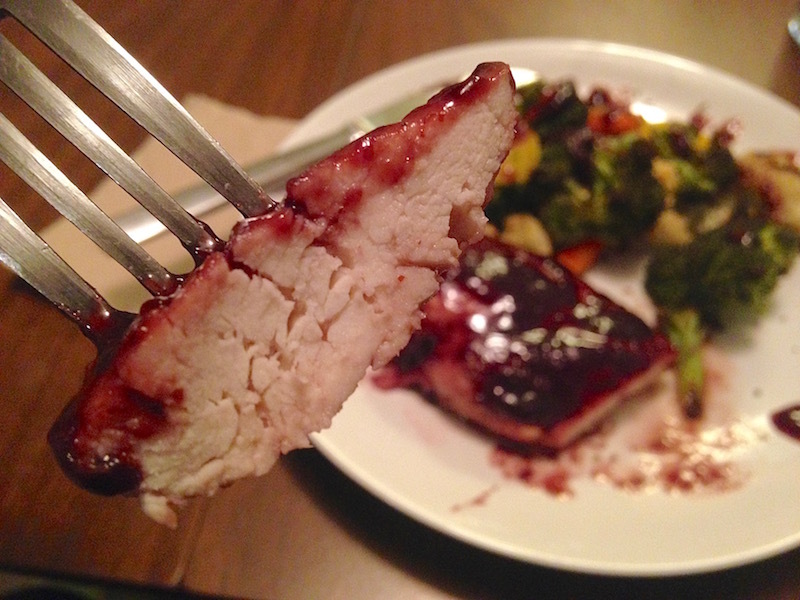 Here’s my recipe for Blackberry Dijon Chicken. First, preheat your oven to 425 degrees. 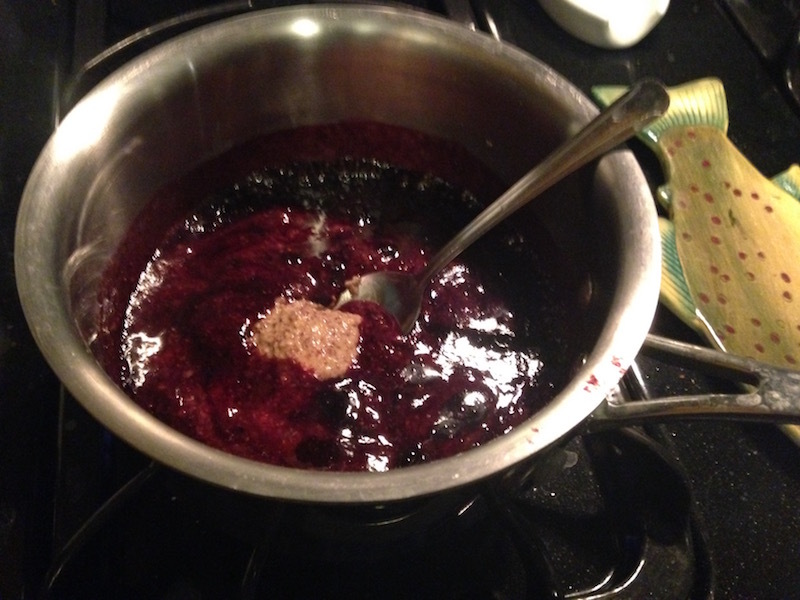 Then, in a small saucepan, combine one 10-ounce jar of blackberry jam and 5 tablespoons of Dijon mustard. Let it come to a boil over medium heat, turn it down to medium-low, and let it simmer for 10-15 minutes. You want it to reduce, so it becomes thicker. 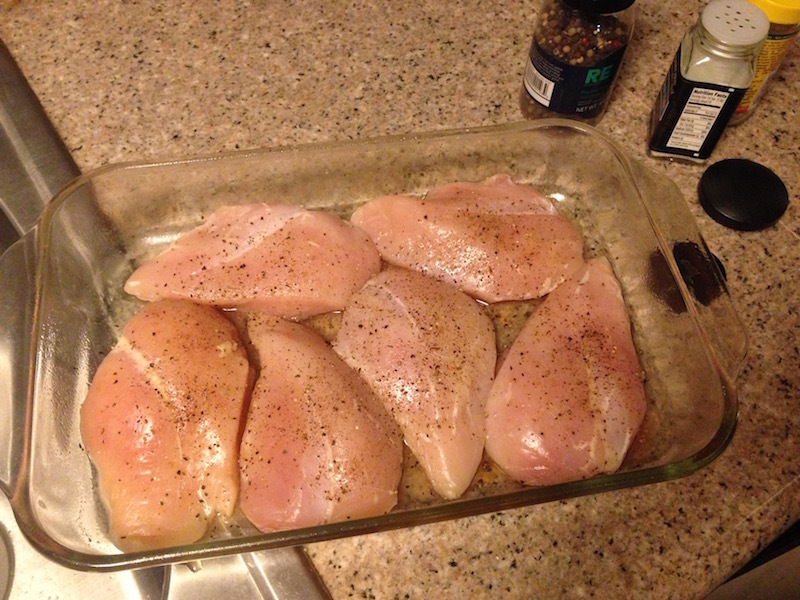 Meanwhile, spray a casserole pan with nonstick cooking spray, and spread out 6 chicken breasts. Season them with a little salt and pepper. 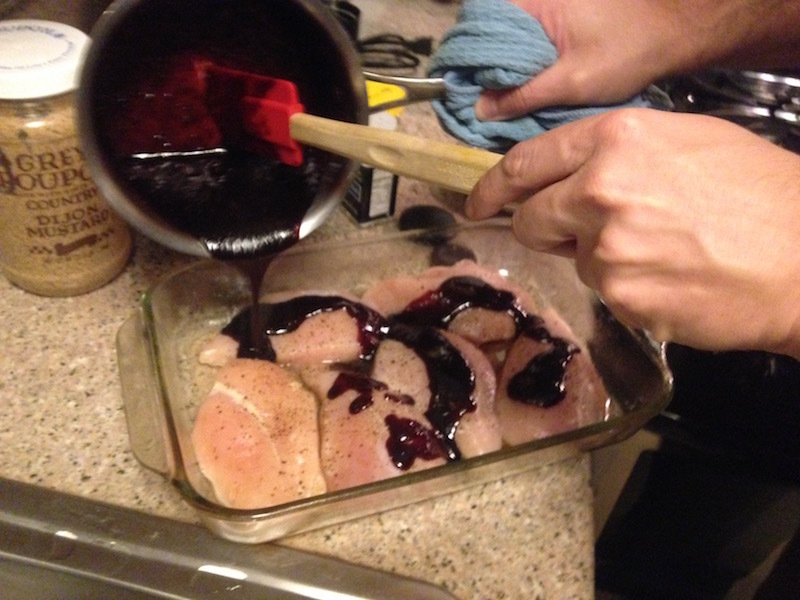 After 10-15 minutes of simmering, pour the blackberry-Dijon sauce over the chicken breasts. Plate it up! 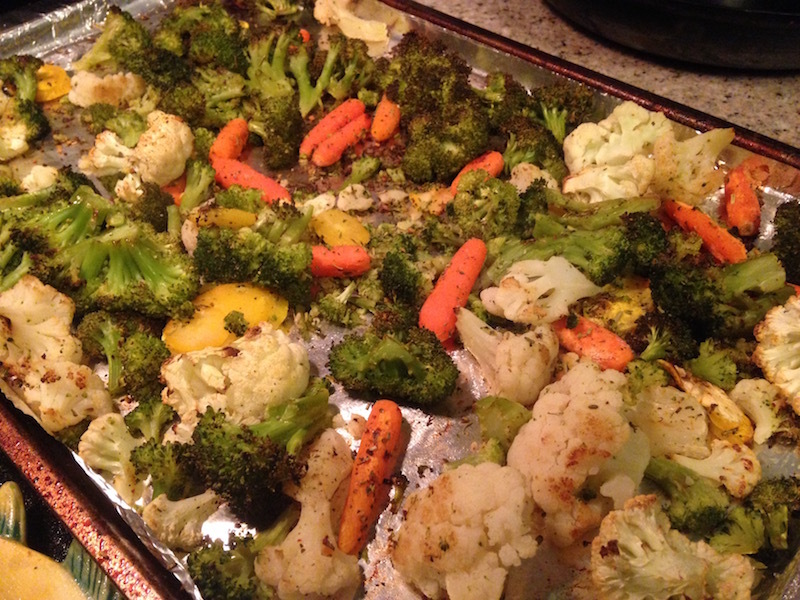 I spooned a little bit of the excess sauce on the vegetables. It’s a fantastic mix of sweet and savory – and, next time, I’d use even more of the Dijon – so don’t be afraid to be generous with it! This recipe is high in sugar. 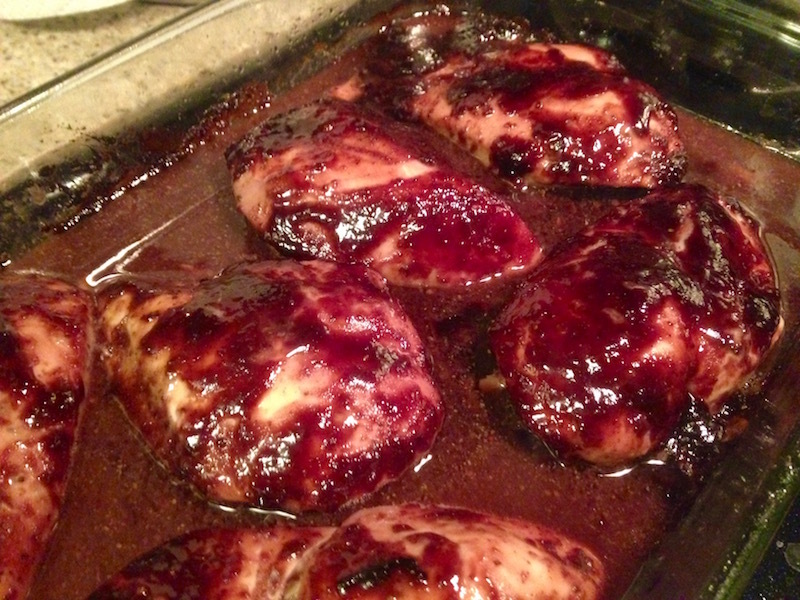 It works out to be 30 grams of sugar per chicken breast, if you consume all the sauce. I didn’t. There was plenty left in the pan after I served it, and while I poured a little into a container for the leftovers, a lot of it went down the drain. (Although I guess I could’ve saved it for something else?) You can find sugar-free jams at the store, too, which would dramatically reduce the sugar content. Oh, and swap out blackberry for another type of jam of you prefer! PS – Check out more recipes on my RECIPES page! This entry was posted on Monday, November 30th, 2015 at 11:43 pm and is filed under Uncategorized. You can follow any responses to this entry through the RSS 2.0 feed. You can leave a response, or trackback from your own site.